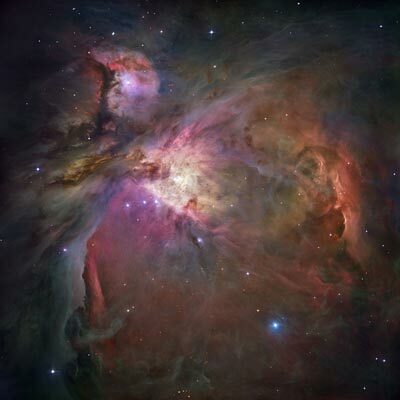 On January 11, 2006, NASA released their new high-res images of the Orion Nebula to the public. The above image (available in a zoom-able format here) is the sharpest image of the nebula taken by the Hubble Telescope. Cool, yeah? Well, now look at the image as a whole. Follow from the belt to the right and up a bit and… Hey, isn’t that a face? Holy crap, the gases of previously exploded stars have created what looks like a man looking at the Hubble Telescope as it snaps the image. Ok, it’s not really new news to me. I just remembered to mention it since I was talking about Orion in the last blog post. Have I mentioned that I like astronomy?